Tammam Azzam opens a solo exhibition, Paper, at the City Museum of Oldenburg (Stadtmuseum Oldenburg) on 13 Janury 2017, curated by Dr. Monica Meyar-Bohlen. Azzam is exhibiting new works in the municipal museum, which focuses on the historical development of the German city. 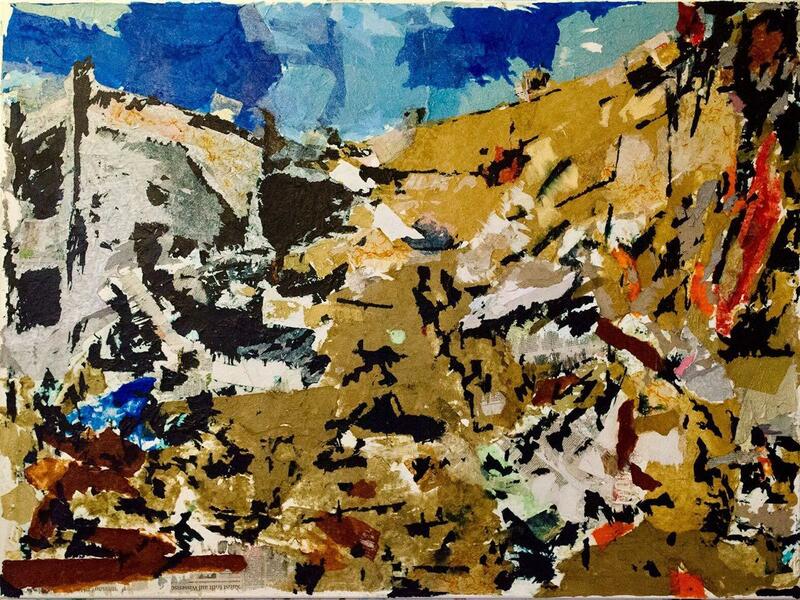 In his latest paintings, Azzam introduces paper collage to his practice, as he continues to address the destruction of his native Syria amidst the ongoing conflict. The tactile nature of these vibrant works amplifies images of destroyed cities and displaced citizens in startling ways. These scenes appear to crumble in real time due to coarse layers of paper fragments that the artist applies to his canvases. Thematically, Azzam's new compositions relate to his Storeys series, a large body of work that marked his return to painting last year. Paper will be on view until 12 February 2017.